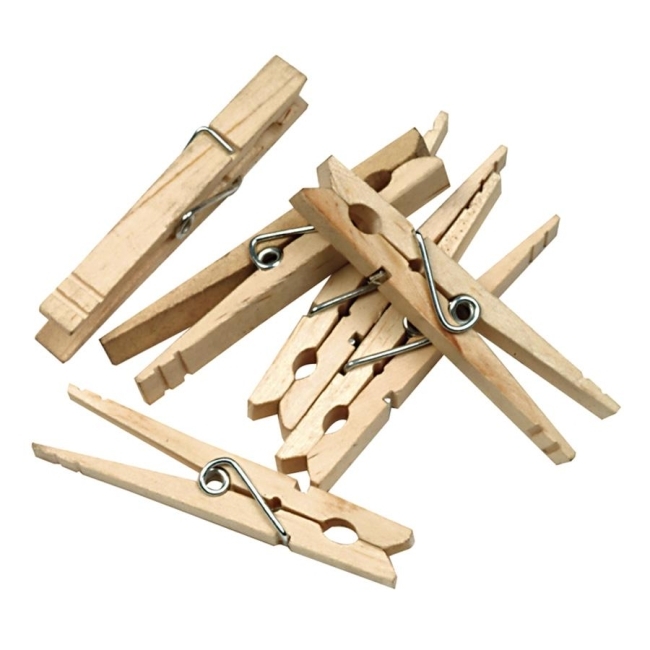 Flat-slotted clothespins can be used for numerous craft projects as the core ingredient or just support. Includes 40 pieces. Each measures 3-3/4" in length. Made of wood.